(Reuters) - MasterCard Inc, the world's second-largest debit and credit card company, posted a better-than-expected 10 percent rise in quarterly profit, as more customers used its cards to make purchases. MasterCard shares were up 2.8 percent at $78 in trading before the bell on Thursday. The company's net income rose to $931 million, or 80 cents per share, in the second quarter ended June 30, from $848 million, or 70 cents per share, a year earlier. Net revenue rose 13.4 percent to $2.38 billion. Analysts on average had expected the company to earn 77 cents per share, on revenue of $2.31 billion, according to Thomson Reuters I/B/E/S. MasterCard's worldwide purchase volume increased 12.5 percent in local currency terms to $821 billion, driven by growth in Europe, the Asia Pacific, the Middle East and Africa. 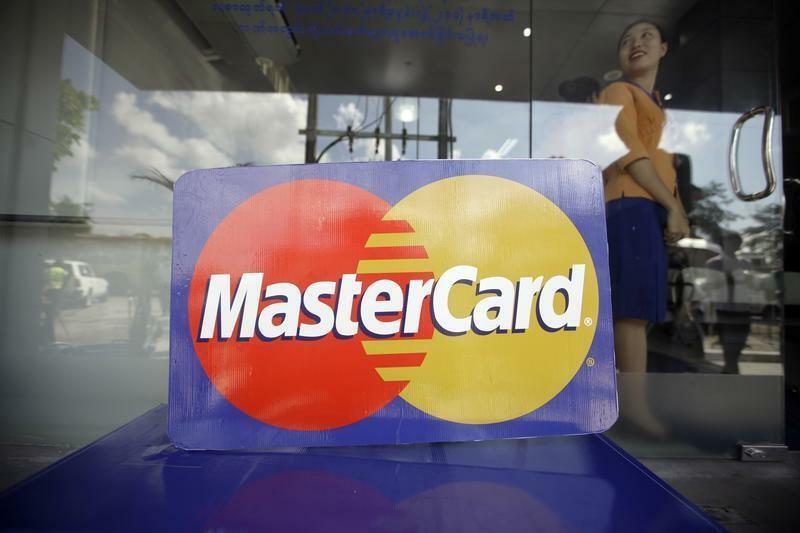 The company, which provides cards under brands including MasterCard, Maestro and Cirrus, said its U.S. purchase volumes rose 10.1 percent to $289 billion. MasterCard's stock has risen 2.3 percent since it last reported results in May, underperforming the S&P 500 Index, which rose 4.6 percent in the same period.